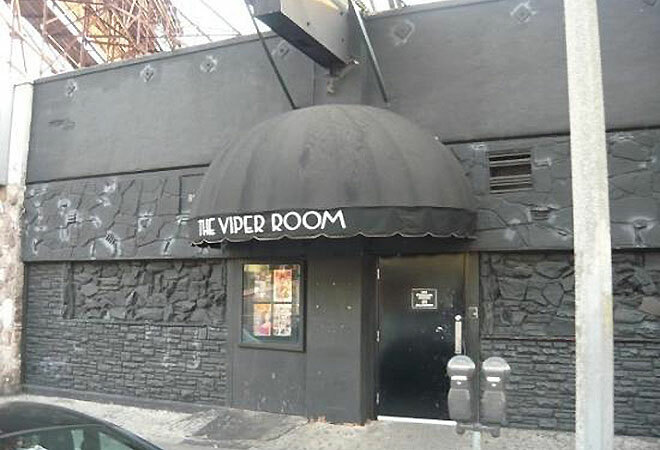 It’s been 21 years since the Viper Room—a place famous for great drinks, legendary music performances, and being where actor River Phoenix tragically overdosed—opened its doors on August 14, 1993. To celebrate the anniversary, the 250-person-capacity venue has scheduled special guests this month. Meanwhile, we’re looking further back in time. The Melody Room was a 1950s jazz club popular with Los Angeles gangsters, such as Bugsy Siegel and Mickey Cohen. Not a lot about its history is known, but author Domenic Priore documented the venue in his book, Riot On Sunset Strip: Rock ‘n’ Roll’s Last Stand In Hollywood. According to Priore, “The Melody Room was primarily a lounge/ music place. Acts like Billy Ward and the Dominoe’s, who were most famous for having Clyde McPhatter and Jackie Wilson in the group, gigged there. Bobby Troup, who wrote “Get Your Kicks on Route 66,” and singer Julie London also hung out there, as did actors Cesar Romero and Jackie Coogan, who would hang together. Imagine seeing Uncle Fester and The Joker with each other during the 60s!” Musician (and Vintage Los Angeles member) ‪Dave Provost used to perform there himself. “Bill Gazzarri was fixated on all things mobster. 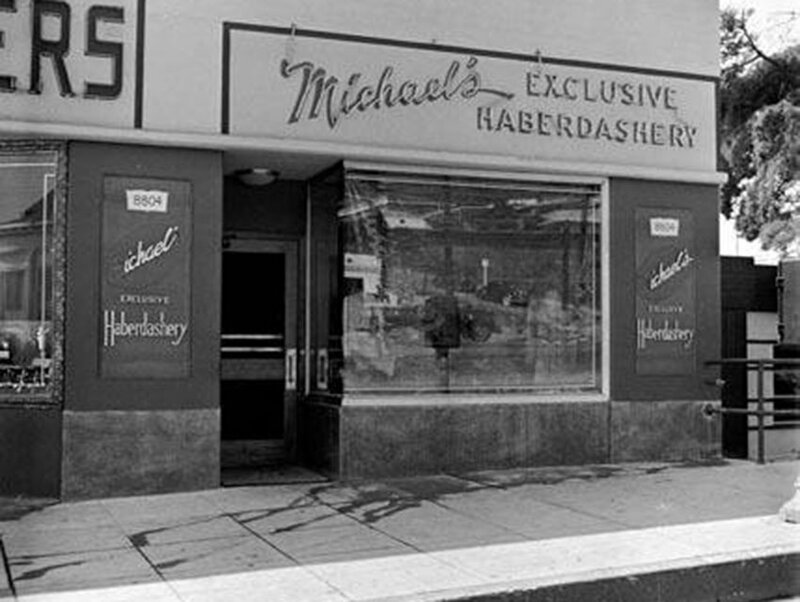 In the late ‘60s, he would take us outside, point to The Melody Room, and proclaim ‘that was Mickey Cohen’s headquarters!’” he says. Filthy McNasty’s opened in 1973 and was frequented by Evil Knievel and Tom Waits. Tower Records had opened in 1971 and was east at Sunset and Horn. 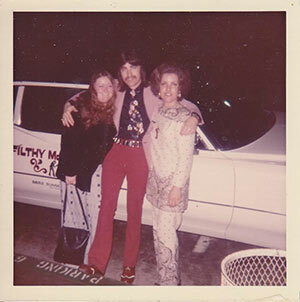 Photo of Filthy McNasty and his smooth ride courtesy of Vintage Los Angeles member, Stephanie McDermott. 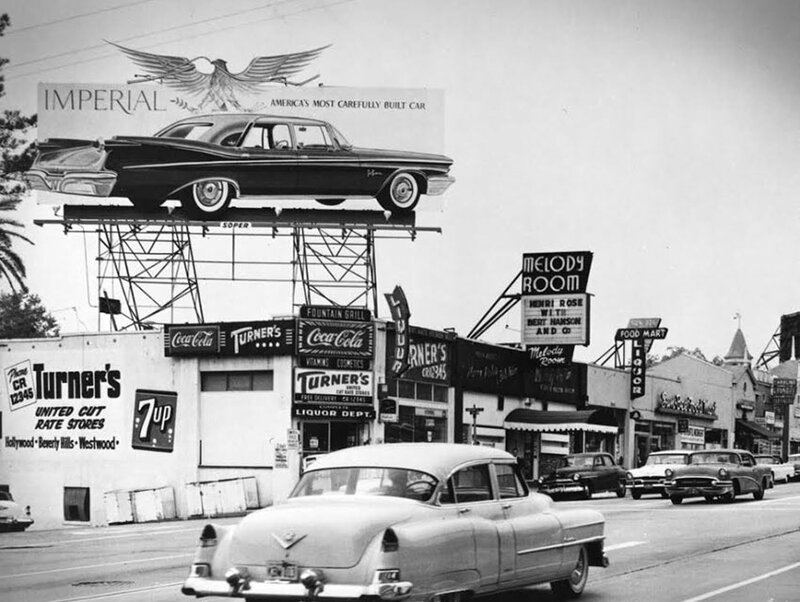 At the time, rock and roll billboards covered the Sunset Strip, Glam was at its zenith, and Filthy’s was in the center of it all. One of the venue’s claims to fame that lives on: Filthy McNasty’s was featured behind the band the Sweet on the cover of their biggest album, Desolation Boulevard, which was released in 1975. Even after the owner moved on to another venture, Filthy McNasty’s goods continued to circulate. ‪Jeff “Fedj” Sylvanus was mixing sound one night at McNasty’s other property, FM Station, when he realized he had seen the club’s matchbooks before and asked the bartender about them. Chuck E. Weiss at The Central. 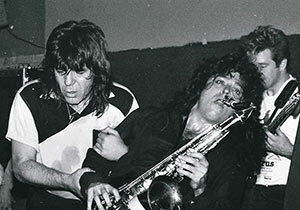 Spyder Mittleman on sax and Will Macgregor on bass. Photograph courtesy Todd Everett. During the 1980s you could easily catch a set by Rickie Lee Jones or bump into John Belushi at The Central. In 1981, The Who’s John Entwistle participated in an open jam night there on Tuesdays. Mitch Mitchell (of the Jimi Hendrix Experience), Buddy Miles, Les Dudek, Carlos Castenada, Jr., C.C. DeVille (before he was in Poison) Pearl (Janis Joplin’s back-up singer) and Ray Gange (the Clash’s roadie and star of “Rude Boy”) would sit in or be seen drinking at the bar. The Central had a stage that was four feet high, nice monitors, and a great PA system. 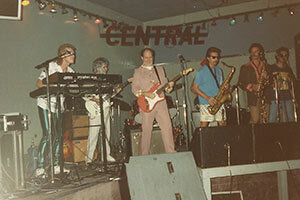 Billy Vera and The Beaters on Halloween night at The Central in 1987. Photograph courtesy Billy Vera. The club’s profile continued to rise in the ‘90s. In 1990, Oliver Stone shot the London Fog scenes for his biopic on the Doors at The Central. I myself stood in as an extra and can be spotted at the front of the stage with about 10 other girls screaming “Jim!” to Val Kilmer. Life’s most embarrassing moments caught on celluloid at The Central. Alison Martino is a writer, television producer and personality, and L.A. pop culture historian. She founded the Facebook page Vintage Los Angeles in 2010. In addition to CityThink and VLA, Martino muses on L.A’s. past and present on Twitter. Next articleAsk Chris: Why are the Lights so Bright in the New Interstate 5-Route 2 Connector Tunnel?